A combined force detained several suspects while searching for a Taliban leader in the Nad-e Ali district of Helmand province. 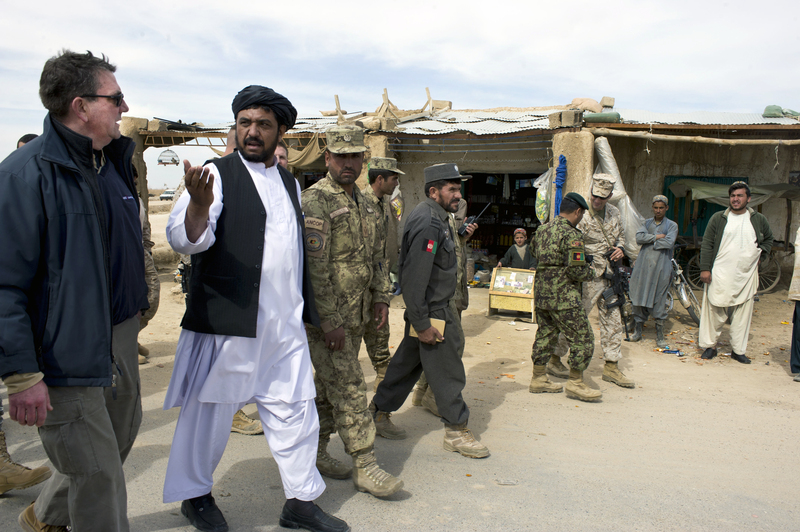 The leader oversees Taliban operations in the province’s Marjah district, including roadside-bomb and other attacks against Afghan and coalition forces. He also attempts to impose Taliban law on Afghan civilians. Yup, despite our “success” in Marja, the Taliban still have a leader who “oversees Taliban operations” in the region, and he seems to be eluding capture even though we seem to know who he is. And Marja was back in the news over the weekend, as the US base in Marja saw its second green on blue killing of the year (is this incident less isolated since it’s the second one here?) and a significant number of Taliban forces were killed in the region on Friday and Saturday. Couple the Marja failure with other bad news coming from Afghanistan and we see just how the entire effort there is crashing into disarray. We learned Saturday that the planned site for a US consulate in Mazar-e Sharif, in the north of Afghanistan (Marja is in the south) has now been abandoned (after signing a ten year lease and spending $80 million) because it is too risky to have a US presence there. When it comes to McChrystal’s government in a box, it seems that US likes to put the Afghans back in the box now and then. One of Obama’s claimed recent successes was the agreement handing over control of the prison system in Afghanistan, including the huge Parwan prison. It turns out, however, that the US has maintained the real decision-making power, and has completely bypassed Afghan authorities with its program of secretly releasing key insurgents through negotiations aimed at pacifying certain regions. With only two weeks to go until the Chicago NATO summit, I expect the Obama administration and Department of Defense to completely ignore Feinstein and Rogers. They will insist their plans are still working and that no changes are needed for this summer’s “fighting season”. This is a huge gamble for Obama, as he does not want to enter the November election trying to defend a failed surge strategy. However, with even key members of Congress now openly disputing Obama’s claims, there is a strong possibility that the “success” narrative will have taken many more hits by November.